Setupsk is the PUP that uses misleading techniques to prevent removal. Use Reimage to locate malicious components and get rid of them faster than with uninstall instructions. A full system scan blocks virus reappearance and prevents traffic to malicious domains. 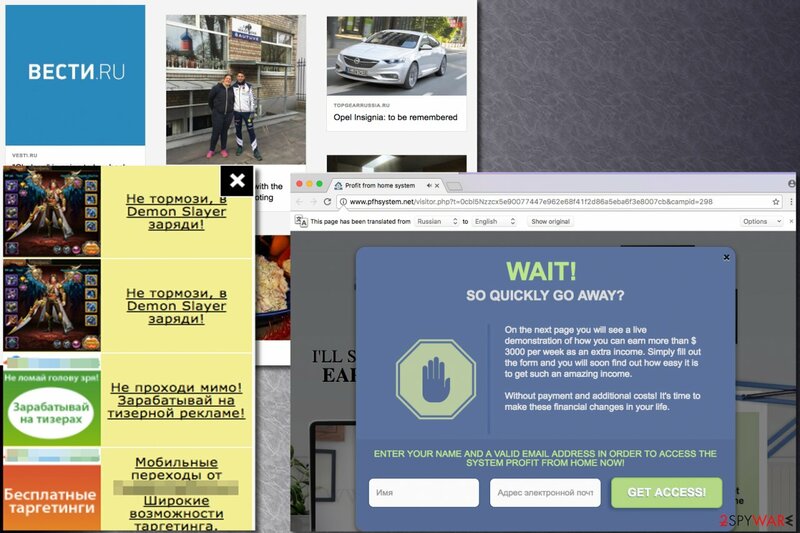 Setupsk virus is a computer program that inserts Russian advertisements into websites you visit. These advertisements do not originate from sites you visit, because this ad-supported program, which is also known to be part of adware category, connects to various ad networks and gathers particular ads to display to you. Ads by this potentially unwanted program (PUP) can appear in different formats, including pop-up, pop-under, banner, contextual, full-screen, and other types of ads. The ads delivered by Setupsk usually promote certain services, memberships, or freeware such as useless browser toolbars or programs. We highly advise you not to click on these ads; otherwise, they can put your computer system at risk. There is no guarantee that software or services advertised via these ads are trustworthy, so better stay away from them. In general, it is not worth trusting ads that are way too annoying. If you notice that web ads pop-up on your screen even if you click something that is not a link or an ad, it means that your system is infected with adware software that attempts to push third-party ads to you. Of course, such ads can appear when browsing through untrustworthy websites, but if you try your best to stay away from them and annoying adverts still bother you on a daily basis, it is time to scan the computer system and remove Setupsk automatically. If you are determined to uninstall this suspicious spyware program on your own, we highly recommend you to read instructions we provided first. You can find the removal instructions right after the text part on this page. Ads by Setupsk are annoying, yet there are more issues to worry about, and they’re associated with your privacy. Almost every ad-supported program firstly installs tracking cookies to dig information about user’s interests, and then uses them to collect all types of personally non-identifiable information about the victim, including search queries, browsing history, downloads, clicks, time stamps, and more. Unfortunately, it is possible that this shady adware might be trying to track personally identifiable data as well. Considering this, Setupsk removal should become the No.1 task on your to-do list. To successfully remove this virtual parasite from your computer, we highly recommend using Reimage software. 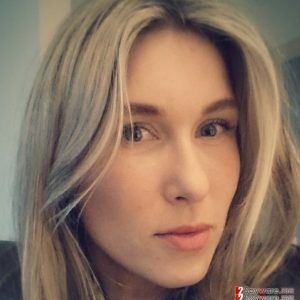 Researcher shows at ads by Setupsk. As you can see, most of them are Russian. It is believed that this adware communicates with several ad networks that store Russian ads. Many free programs are ad-supported, however, others try to monetize their services by suggesting to install additional third-party programs alongside them. For this reason, you should be extremely careful when choosing software to install and also when installing it. Contrary to popular belief, Custom and Default options are actually the ones that you should be choosing, not Default or Standard ones. Sadly, computer users get easily tricked into installing unwanted extra programs alongside freeware just because their installers mark Default and Standard settings as “recommended” ones. Our team suggests choosing advanced settings and modify them according to your needs. This way, you can control the situation and refuse to install unwanted additions that come in a bundle with freeware you download. At first, it might seem that Setupsk removal is an easy thing to do and that even inexperienced computer users can delete it via Control Panel. That is not true because this suspicious ad-supported software tends to hide itself in the computer system. It typically adds various additions such as browser extensions or registry keys to keep third-party ads flowing. We suggest you remove Setupsk using tutorial provided below or anti-spyware software such as Reimage. Setupsk might be hiding in your computer system under a different name, so you must uninstall EVERY suspicious program from the system. Once you do that, clean browser shortcuts as shown below. Here, look for Setupsk or any other recently installed suspicious programs. Wait until you see Applications folder and look for Setupsk or any other suspicious programs on it. Now right click on every of such entries and select Move to Trash. When in the new window, check Delete personal settings and select Reset again to complete Setupsk removal. Once these steps are finished, Setupsk should be removed from your Microsoft Edge browser. Firefox might be launching discussed ads for you because it contains an add-on that is part of the adware program. To remove these add-ons, use this guide. Here, select Setupsk and other questionable plugins. Click Remove to delete these entries. Now you will see Reset Firefox to its default state message with Reset Firefox button. Click this button for several times and complete Setupsk removal. Delete extensions that seem unfamiliar to you. Get rid of ones you cannot remember installing, too. Here, select Setupsk and other malicious plugins and select trash icon to delete these entries. Click Reset to confirm this action and complete Setupsk removal. Here, select Extensions and look for Setupsk or other suspicious entries. Click on the Uninstall button to get rid each of them. Now you will see a detailed dialog window filled with reset options. All of those options are usually checked, but you can specify which of them you want to reset. Click the Reset button to complete Setupsk removal process. This entry was posted on 2017-05-10 at 10:10 and is filed under Adware, Viruses. You can quickly scan the QR code with your mobile device and have Setupsk ads manual removal instructions right in your pocket. How did you remove Setupsk ads?